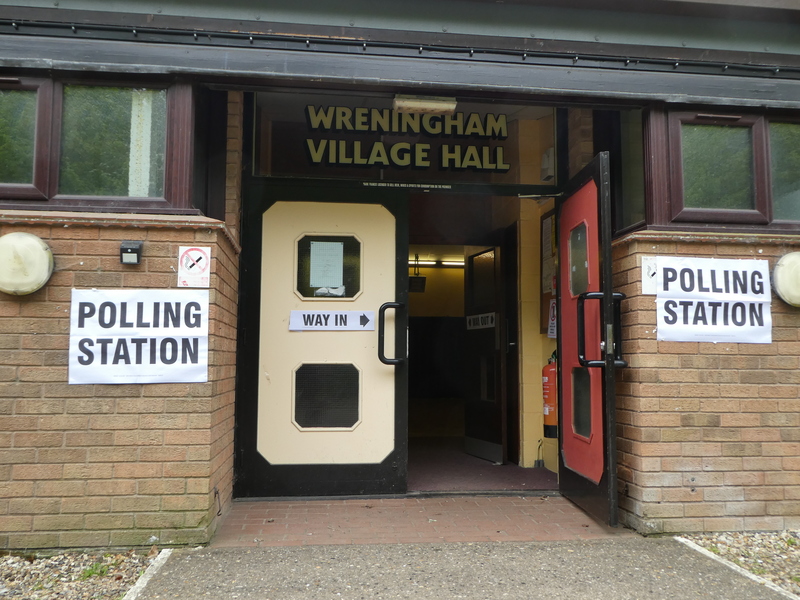 writing to: Electoral Services Department, South Norfolk Council, Cygent Court, Long Stratton, NR15 2XE. Recent discussions with the Chair and Vice-chair of Ashwellthorpe & Fundenhall PC considered that this review may recommend significant changes, such as a merger of the two parishes. However, whilst improved co-operation between the two PCs might be helpful in a few areas, any proposal to merge the parishes would be resisted by both councils. This is because no benefit could be identified from such a merger, not least that the parishioners in each parish would find their representation at PC level effectively halved. The Terms of Reference for the Governance Review have been published and they are now collecting evidence. Therefore, they have asked us to post a link to the survey for residents to provide their views on their Parish and its Parish Council. We encourage you to use this link. Please see here. The Parish Council is asked to complete a more detailed survey. The Parish Council’s response to the survey would be improved if informed by your input. So please look at the questions here and send your comments to the Clerk at clerk.wpc@gmail.com. Thank you. The Parish Council meeting on 14th March will provide the opportunity for you to hear and question Phil Hardy, our South Norfolk Councillor, about the Review and its implications. Planning Application: Honeysuckle Cottage, Church Rd. We have received a request to publicise the work of a Charity, Solo Housing, within the South Norfolk. Solo Housing is a charity supporting the single, homeless in East Anglia, based in Diss, and is funded by South Norfolk Council. Their aim is to help by providing accommodation from their Register of Landlords and Landladies. This accommodation is predominantly ‘lodgings’ – their own room with shared use of the rest of the property. They also offer advice and support to both the client and landlord/lady throughout the placement, if required. There is a constant demand for this type of rented accommodation as ‘lodgings’ are affordable by those on low incomes. This means, of course, that there is an ongoing necessity to recruit new providers. The contact is Sarah Forder, Homelessness Prevention Officer, and details are in the leaflet linked to above. South Norfolk Council are running free information sessions to help residents make the most of skills available within the community. They call them “Pick ‘N’ Mix Bitesize Learning” and will be held on the last Thursday of every month, in different pubs across the district. There are 20 bookable places on each; contact volunteering@s-norfolk.gov.uk to book a place. More information available from Jessica Ransome, Integrated Marketing Officer. Many Parishioners have asked the Parish Council to do something about speeding through the village in addition to the law, official speed limit signs and our regular use of the speed reporting device. We asked SNC and neighbouring parishes about our options. They reported that speed stickers on wheelie bins to remind drivers of the 30 mph speed limit seem to be effective. So, we have a supply of stickers and will be distributing two to each household within the 30 mph zone in the next few days. Please note that SNC ask that these are affixed to the bins as shown in the image – i.e. on the side and not over the SNC logo on the front of the bin. Any comments to the Clerk or to info@wreningham.org. The search is on for South Norfolk Council’s Community Pub of the Year. SNC advise that “Our pubs play a huge part in local life and these awards help to recognise the work they do within our community”. David Kirk has contacting Karen O’Kane, Programme Director for BbfN, about the status of plans for broadband services for the village. This is a summary of their exchanges. The Better Broadband for Norfolk (BBfN) website has a map with coloured dots indicating broadband status. It indicates plans for every postcode in the county. 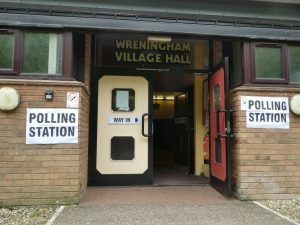 Unfortunately it is not completely accurate for Wreningham (note that such status information will usually be an approximation as postcode areas do not always map directly to BT’s physical network). Karen O’Kane says the coding errors in the dots on the Wreningham part of the BBfN map will be corrected “during the next quarterly update” in September. This won’t of itself bring about an improvement in service but at least it will show a more accurate status for the village. An alternative guide to progress on Superfast is available on the Openreach website (note you may need to use a browser other than a “Google” to get it to work). This gives a detailed property by property listing for both current availability and future plans. The site is interactive so simply type either your phone number, or your postcode and select your own address from the drop-down list. Hethel Road and Glebe Close: to be linked to the green BT cabinet by the school. Karen O’Kane reaffirms the “by the end of the year” target – whilst not being clear whether this is a calendar year (ends in December) or a business year (ends in March). This should give access an improved service. Superfast broadband performance falls off with the distance from the BT cabinet. Thus, after the “end of the year” work, the majority of homes in the postcode NR16 1BB (north of the 30mph sign in Hethel Road) will, she says, “not have access to speeds above 15Mbps”. Hence this postcode will continue to show up as a red dot on the BBfN map implying no further plans etc., but the majority of areas of Hethel Road should show varying levels of improvement. Norwich Road near Top Row: a few properties are being shown on the Openreach website as potentially being provided with direct Fibre To The Premises (FTTP) broadband as part of an Openreach infill scheme – although no timescales are given. This could see these properties able to access in excess of 200 Mbps at some point in the future. We received this briefing by the BBfN Programme Director which was delivered to a meeting recently. It describes some of the UK Policy relating to Broadband roll out in the country. It includes advice for domestic users – Digital Briefing Note for Public Distribution. In the meantime, you may have seen reference to Wreningham in your copy of The Link which is now available in the village. The Parish Council is to receive funding via our County and District Councillors to implement an improved broadband service centred in the Village Hall. It is not designed to address the broadband problems being experienced by a number of residents in their homes. It is an interim measure to give access to Superfast Broadband to the community as a whole. This is expected to provide wi-fi broadband with 70+Mbs download and 15Mbs upload speeds. It will be accessible when you are in proximity of the village hall. Once it is up and running, the Parish Council would like to receive your comments on the service.